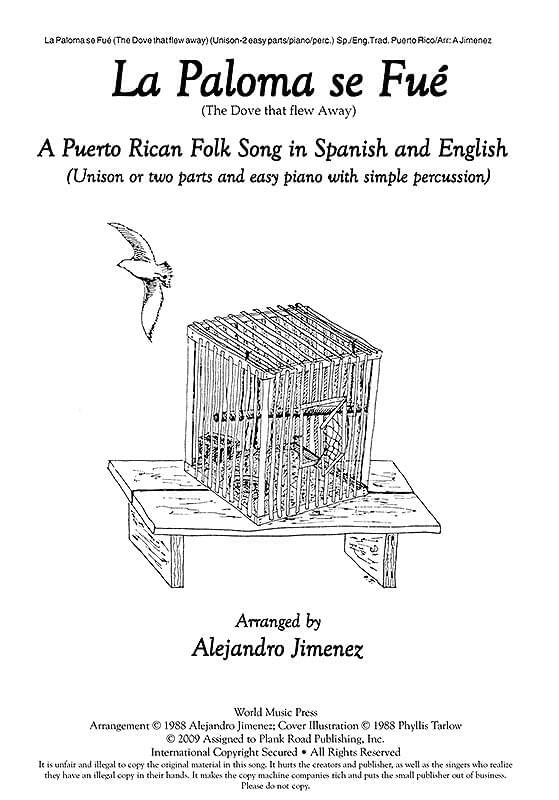 A touching Puerto Rican children's song about growing up (the bird that has flown, never to return), La Paloma Se Fue is arranged by Alejandro Jimenez. In Spanish and English, with hand gestures. SA; simple piano; guitar; percussion.